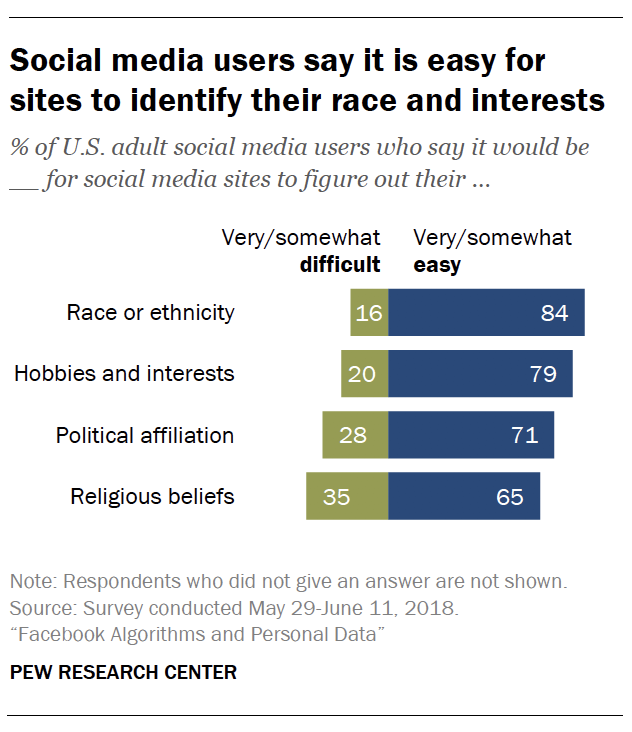 A second survey of a representative sample of all U.S. adults who use social media – including Facebook and other platforms like Twitter and Instagram – using Pew Research Center’s American Trends Panelgives broader context to the insights from the Facebook-specific study. 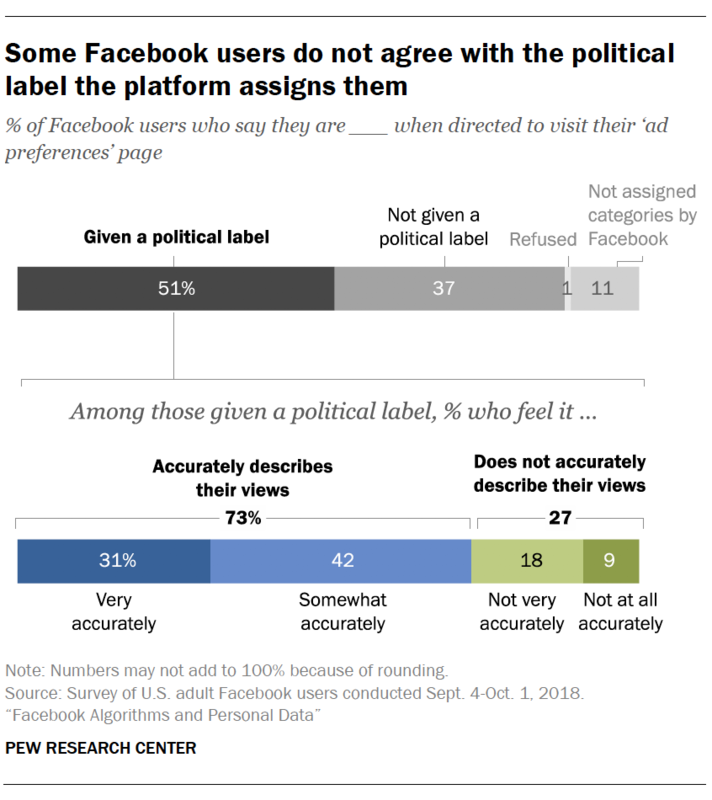 Pew Research Center chose to study Facebook for this research on public attitudes about digital tracking systems and algorithms for a number of reasons. For one, the platform is used by a considerably biggernumber of Americans than other popular social media platforms like Twitter and Instagram. Indeed, its global user base is bigger than the population of many countries. Facebook is the third most trafficked website in the world and fourth most in the United States. 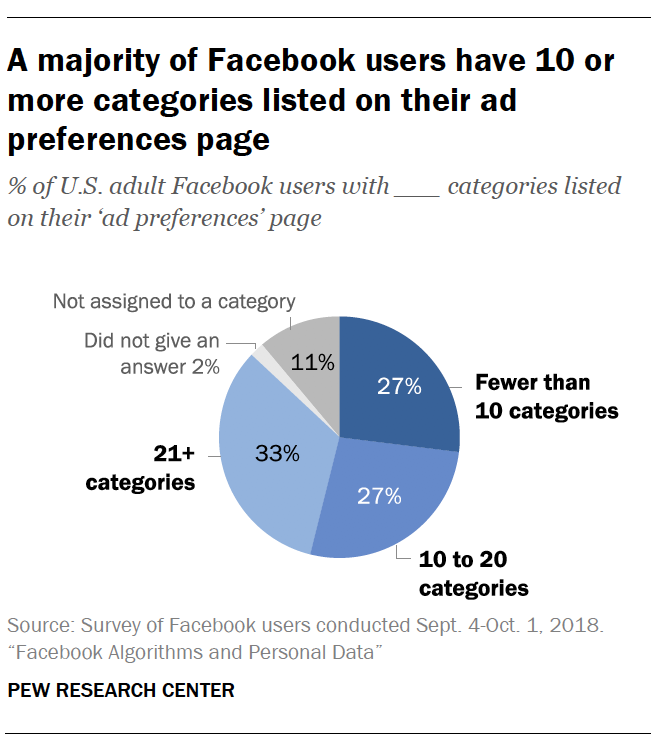 Along with Google, Facebook dominates the digital advertisingmarket, and the firm itself elaborately documents how advertisers can micro-target audience segments. In addition, the Center’s studies have shown that Facebook holds a special and meaningful place in the socialand civic universe of its users. 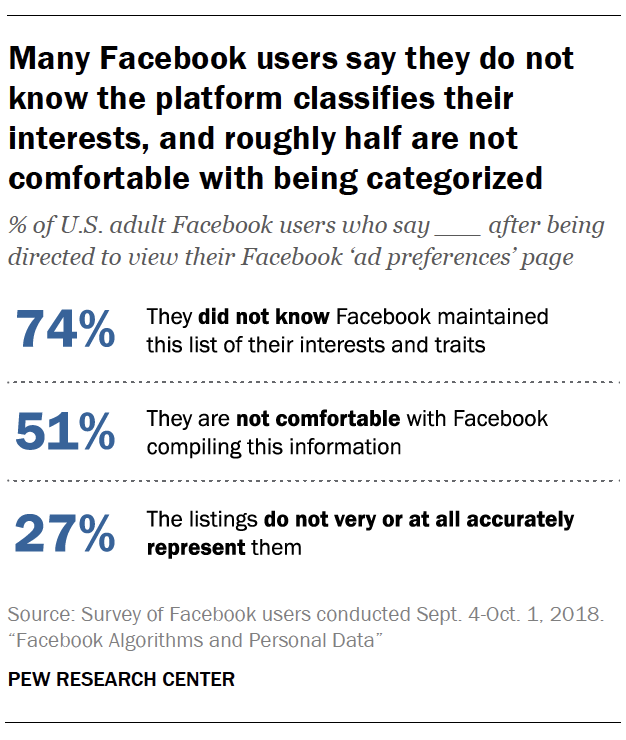 About three-quarters of Facebook users (74%) say they did not know this list of categories existed on Facebook before being directed to the page in the Center’s survey, while 12% say they were aware of it.2Put differently, 84% of those who reported that Facebook had categorized their interests did not know about it until they were directed to their ad preferences page.